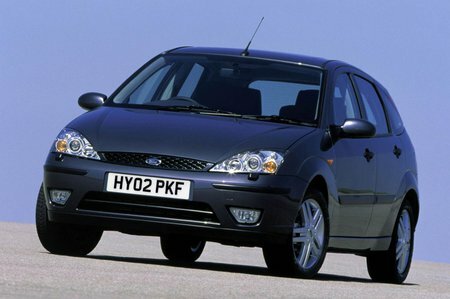 Used Ford Focus Review - 1998-2004 | What Car? What's the used Ford Focus hatchback like? The edgy Ford Focus caused a sensation when it arrived in showrooms in 1998, and for good reason. Stand-out looks brought it instant kerb appeal, though it was the whole package that impressed. The ride and handling were praised from the outset, and these fine driving dynamics were not limited to the range-topping or sportiest examples; all Ford Focus models steered sharply and were agile and fun. The interior took its influence from the bold exterior styling, although it hasn’t aged as well and is a bit extrovert for some. On the other hand, the driving position and the location of all the controls was very well considered, and space is good. Being a huge seller, the Focus was offered to suit all budgets, from 1.4, 1.6, 1.8 and 2.0-litre petrol options right up to a fast, engaging RS model, while a 1.8 diesel was available for high mileage users. Three and five-door versions were offered, as was an estate and a saloon (rare in the UK), and all were pretty well equipped for the time.